I wouldn’t be Christmas without creating a gift guide for my dogs!! My dogs are absolutely without question spoilt members of our family and I like to get them a little something to open on Christmas morning! Here is a list of some of my favourite doggie treats! My dogs both went crazy for these biscuits which was good because they are said to promote strong bones, healthy digestion and aid dental care and a healthy coat amongst other benefits! The idea that a treat is also doing good for my dog is a huge plus in my eyes. The treats are a good sized bone shape that is perfect for portion control and helps prevent over feeding. They come in a resealable bag which makes storing them easy! As they were a crunchy biscuit Stitch couldn’t help but make a mess but he did hoover up sufficiently so I think its safe to say they were a big hit with my two! 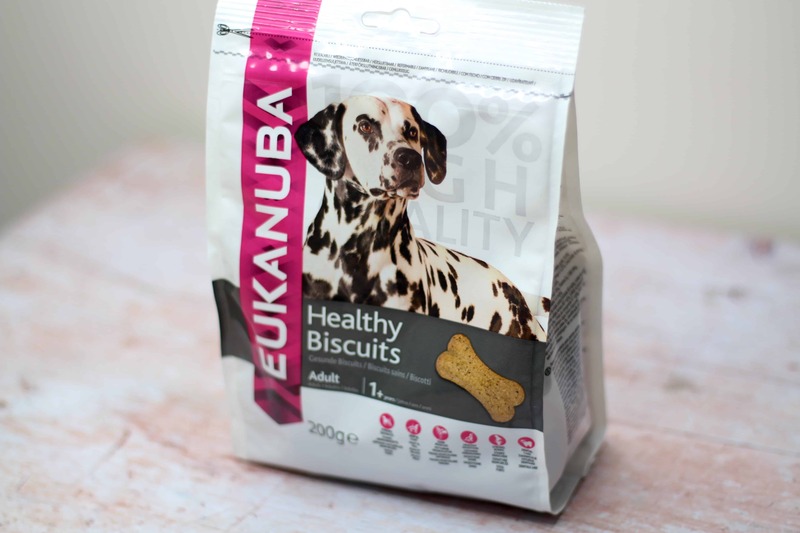 For more information about Eukanuba and their Healthy Dog Treats head over to their website here. I have never bought anything from Forthglade before but I was impressed that both the treats and meal were 100% natural and grain free. The dog treats are hand baked and come in a small heart shape size that can be broken into two for smaller dogs or to help with portion control. Each treat is a crunchy biscuit which both dogs enjoyed and found easy eat. The packaging is resealable which is good for storage and to keep the treats fresh. The Christmas meal is 75% turkey which is very impressive. It comes in a ready meal style container and was easy to portion out for each dog. The meat itself is smooth and both dogs found it easy to eat and both bowls were empty within seconds! 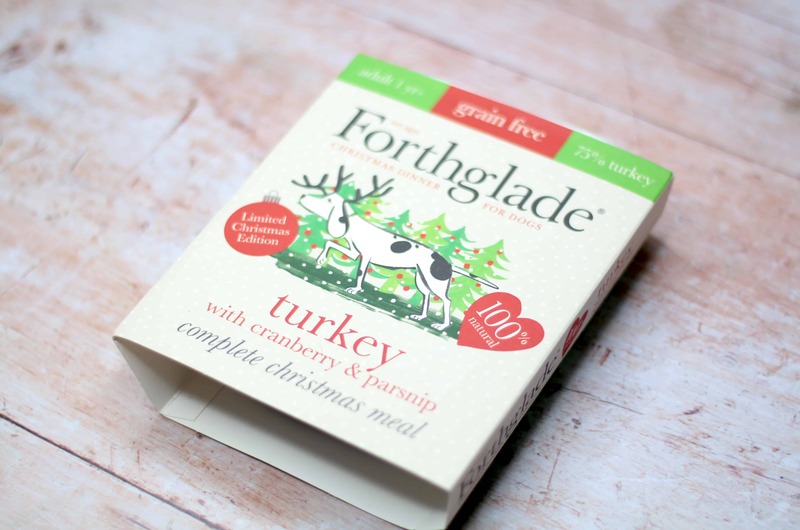 Find out more about Forthglade and their Christmas range here. I was impressed with the Iams minis because they were low fat and gluten free. 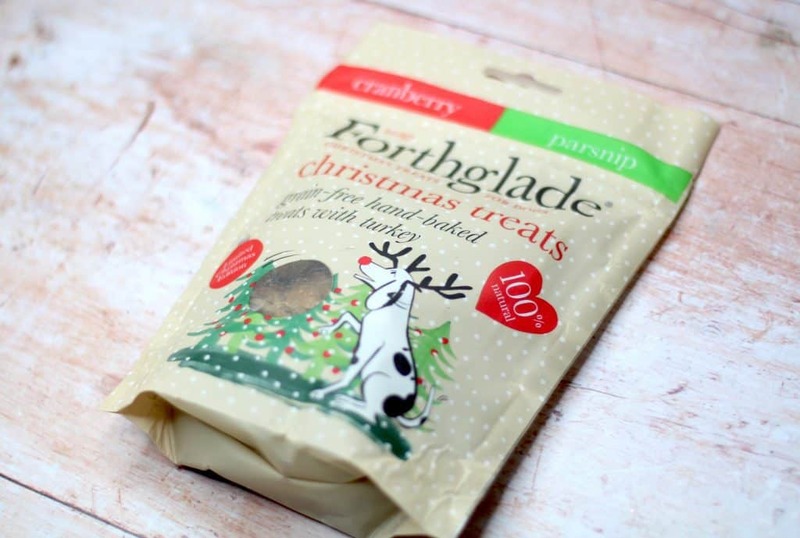 Each treat is small in size making it perfect for taking on dog walks or rewarding on a regular basis. The treats are soft and easy to eat especially for Stitch who has a smaller mouth. They are also enriched with beneficial vitamins and contain no added sugar which is a huge positive. Both dogs enjoyed the treats and because they are soft and small there was no mess left behind. These treats will be a good option for dogs that put on weight easily. As the treats are nice and small it’s easy to reward them without over feeding them and the low-fat content makes them even better. They are available in three tasty flavours Lamb with Cranberry, Beef with Apple and Chicken with Carrots. Find out more about Iams and the Minis range here. Webbox have a whole festive range for dogs (and cats.) 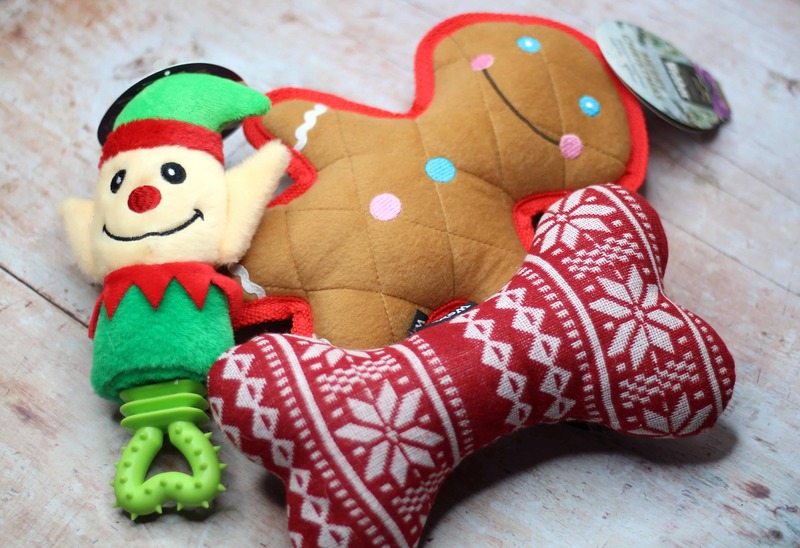 I’ve done a full review of the range here but if you are looking for festive dog toys then I highly recommend these ones. My two are highly destructive. They make it their sole mission in life to remove every squeaker from every toy in the shortest possible time. In the past I have refused to buy them toys because it’s just an endless cycle of me clearing up the debris within 30 seconds. That being said the Webbox toys are very well made and very strong. My two haven’t managed to destroy them yet and although they are certainly a lot more battered and bruised than when brand new they are holding up very well! They are a huge favourite with both dogs. Find out more about the Webbox Festive Dogs Range (and Cats) on their website here.